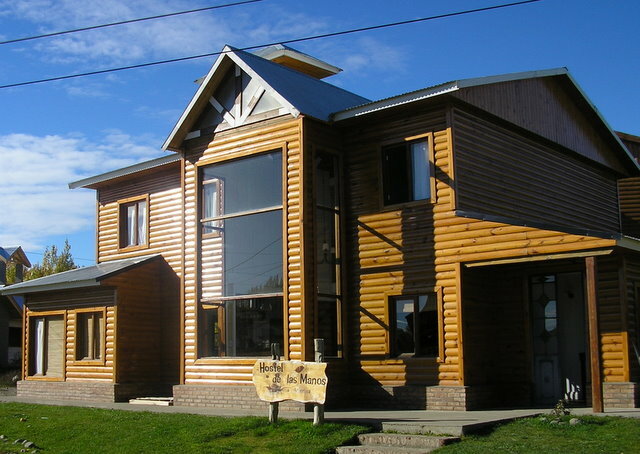 Not all hostels in Argentina are members of Hostelling International, but most follow the same mold. Many have private single and double rooms at rates less than the average B & B and all have kitchen facilities, although some are quite basic. Free WI-FI is frequently available. All have that unique opportunity to met and mingle with an international clientele who are eager to share their experiences, and there is a surprising age range represented. None of them are the old hostels of yore from my collage backpacking experience. My choice was Hostel de las Manos, Feruglio 59: AR$37 (US$10)/dorm bed, AR$140 (US$38)/private room with bath. Set in a developing middle class neighborhood (houses being constructed, roads unpaved) a ten minute walk from town, the Hostel de las Manos is a modern two-storey building with huge picture windows in the common area. The typical Argentine Continental breakfast of bread, butter, jam and coffee was included which did mean that the kitchen facilities were not available for guests until 11:00 am. The kitchen was very basic and the refrigerator small for the size of the hostel. I would recommend that most hostels upgrade their kitchens. 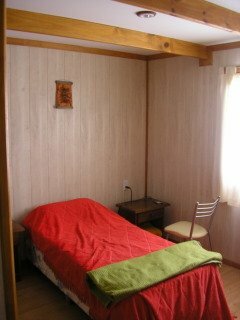 My private room was very clean with two single, comfortable beds and a bathroom with new fixtures. Like most hostels, you do have to provide your own soap. The hostel was full of interesting travelers from Holland, France, Italy, New Zealand, Australia, Argentina, Chili, Brazil and the United States. During my four days I enjoyed many conversations. Unfortunately, the management closed the common room at midnight, an unusually early hour by Argentine standards. After three weeks of restaurant meals, twice a day, I decided El Calafate was a good place to take a break and utilize both the kitchen and camaraderie of the hostel. One of Argentina’s oldest supermercado chains, La Anonima, is in many Patagonian towns - as well Ushuaia - with a decent selection of everything necessary from wine to meat - no fish or seafood. (In El Calafate it's on the corner of Avenida Libertador and Perito Moreno.) The only fish likely to be found anywhere in Andean Patagonia is the excellent local trout. 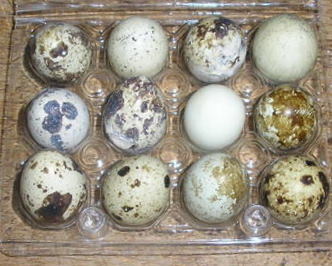 I did purchase a food I had never had: one dozen very small speckled eggs from the tiny Codornidz hen for AR$3.5 (US$.96) - they're the size of quail eggs. I decided to simply boil and peel them. That was a mistake because peeling proved difficult so I popped one in my mouth and the very thin shell was tasty with the creamy egg. I want to turn them into an appetizer, probably without the shell.